Mayor Tony Campuzano is running for re-election to a second four-year term. With over 25 years of public service to the Borough, Tony would like to continue to serve the residents of the Borough. Tony’s background includes 13 years as a member of Borough Council, four as its President. He also served 10 years as the borough constable. In addition, he served a brief stint as borough manager. Tony knows the work of local government thoroughly, and has always taken a hands on, resident-centered approach. He has been and always will be a champion and fighter for Lansdowne, a town that he loves. The people of Lansdowne are very important to him as well – he takes pride in being available to hear the ideas and concerns of residents, and to answer any questions and advocate on their behalf. 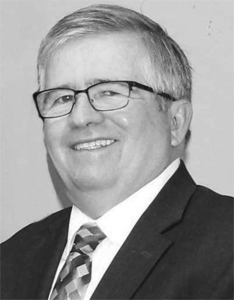 With a good working relationship with the Borough Council, the police and fire departments and borough staff, Tony feels that he can continue to help the borough move forward. He would like to continue to improve borough services, support local events and bring new programs and activities to the residents. He wants to continue to support the young residents by advocating for high-quality education in our schools. He also works with the Boys and Girls Club to provide sports and other activities for kids. Tony will also continue to support our senior citizens and veterans by working with local and state officials and groups to ensure this vital part of the community gets the help and services that they need. Tony hopes to see the historic Lansdowne Theater open and become operational during his next term. He understands that the theater is a vital piece to the continued development and success of our downtown. Tony has lived in Lansdowne for 42 years. He and wife Marie have four children and three grandchildren. A selfemployed general contractor, Tony has owned his own business for 32 years. When not busy, Tony enjoys relaxing down the shore, taking trips with his family and watching all of the Philly sports teams. Jennifer Hoff is the President of the William Penn Board of School Directors.